You must be a member of the St. Petersburg English Group to attend this activity. Would you like to join this group? These regular meetings are offered to those who just want to speak English to like-minded people and mix up with locals. Please add yourself only if you'll really appear at the event, as many come only to meet with you personally and get VERY UPSET when they do not find you. 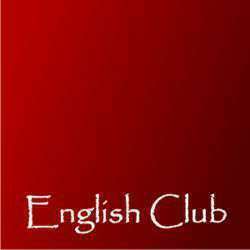 Dear English Club members and guests! Participation in our club is free. However, we encourage you to order at least something, to express gratitude to a venue that provides such a great opportunity for us to meet. For many guests, it’ll be the first English Club InterNations Activity. Please help make them feel welcome. If you see someone alone in a corner, it’d be great if you introduced them to your friends. In this way, we can share the spirit of connecting global minds, and every member will have a lovely time. Thanks!